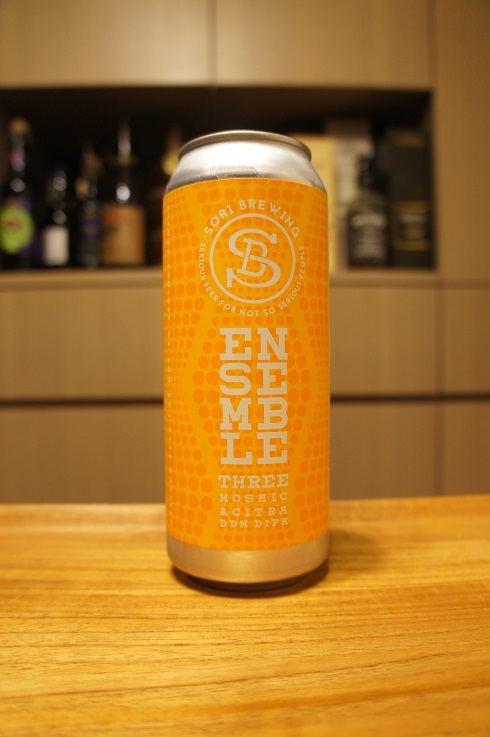 Brewer Description: (from can) Ensemble Three, the last part in our Ensemble series, sees the return of Mosaic with a new partner, Citra. This classic American team-up delivers a punch of citrus and tropical fruit. Sit back and enjoy this DDH Double IPA as we prepare you for the next movement of our symphony. Intro: A 500ml can, lot #268, with a best before date of 30th March 2019. Poured into a Lost Abbey teku glass. Appearance: A hazy golden orange colour, with a two finger white head that had pretty good retention while leaving some nice lacing. Aroma: Citrusy orange, orange rind, grapefruit zest, grass with a hint of pineapple and mango. Taste: Lightly sweet and bitter, dank, orange zest, citrus rind, mango, pineapple and a hint of peach and grass. Overall: Nice and tasty with some good juiciness. 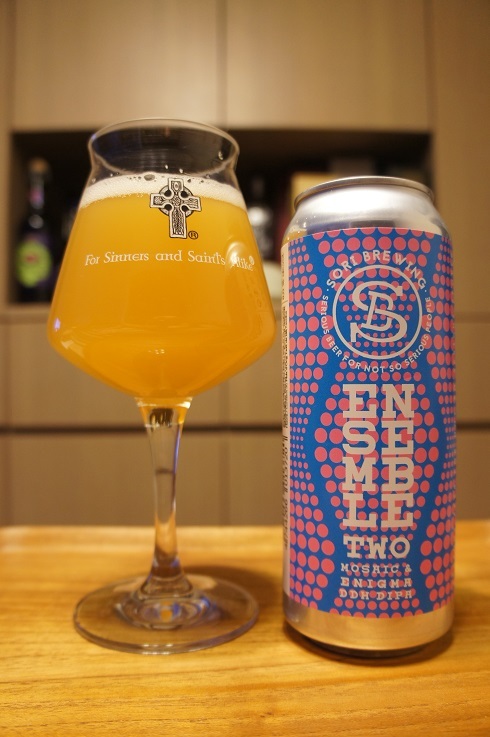 I liked it better than Ensemble Two which I thought was too sweet, but this one had a better balance of sweet and bitter. 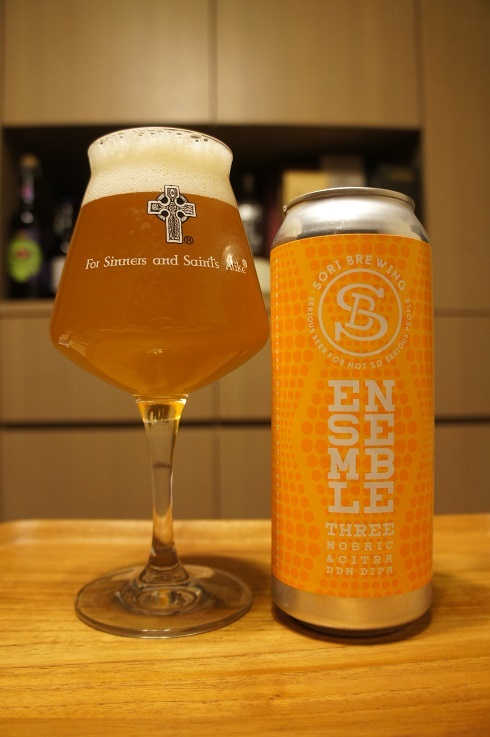 Brewer Description: (from can) Ensemble Two, the next piece of our symphony stars the cross-hemisphere duo of Mosaic and Enigma. Packed with a tropical fruit salad of aromas and juicy flavors. Finishing with a smooth and balanced bitterness. This DDH Double IPA is a beast! Intro: A 500ml can, lot #267, with a best before date of 30th March 2019. Poured into a Lost Abbey teku glass. Appearance: A cloudy darkish orange colour with a thin half finger white head that dissipated quickly and left only sparse lacing. Aroma: Sweet citrus, pineapple, grapefruit, citrus zest and rind, pine, grass with a hint of overripe mango and papaya. Taste: Sweet fruit juice, pineapple, mandarin, orange juice, lightly bitter citrus rind, with hints of papaya and a tinge of alcohol. Overall: It has some nice juiciness, but probably just on the edge of being too sweet for me as it lacks the bitterness to balance. Other Notes: 5 IBUs. Malts – Pale Malt, Wheat Malt, Oats, Cara Pale and Melanoid. Hops – El Dorado and Motueka. 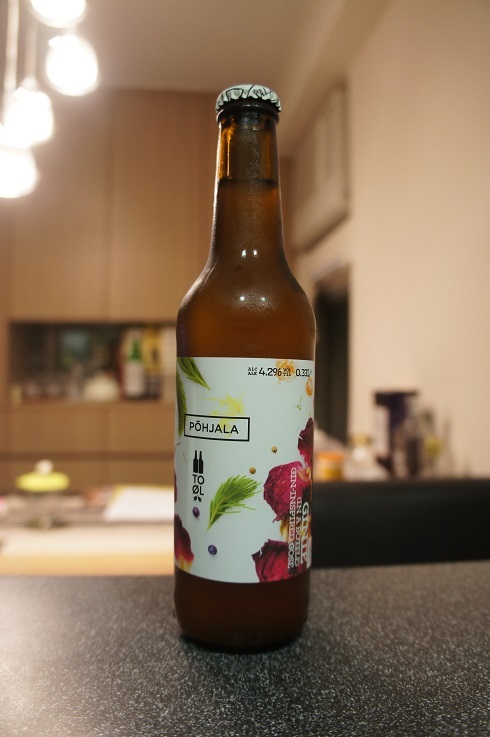 Brewer Description: (from bottle) A gin-inspired Gose brewed by Põhjala and To Øl. 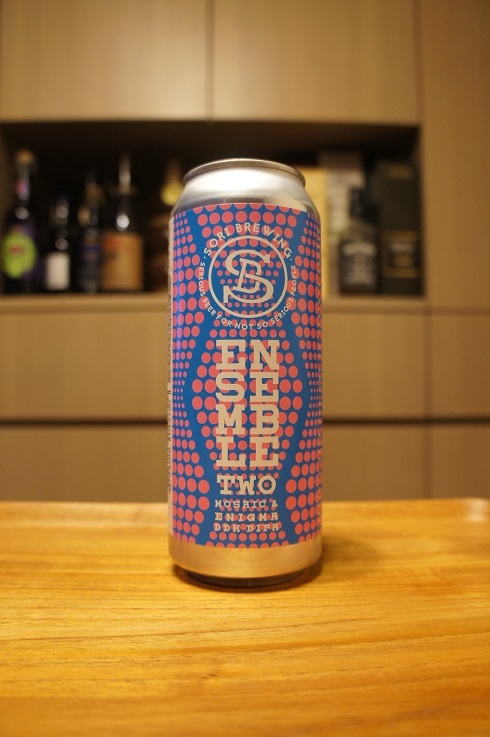 This mildly sour beauty of a beer is spiced with pink Himalayan rock salt, coriander, juniper berries, spruce tips, rosemary, ginger and rose petals. Intro: A 330ml bottle with a best before date of 12th July 2017, poured into a d’Achouffe tulip glass. Appearance: It poured a hazy orange colour with a less than one finger white head that dissipated quickly and left only sparse lacing. Aroma: Mango, lemon, lime, touch of ginger and floral notes. Taste: Lightly salty, lemon zest, lime juice, berries and lightly spicy. Mouthfeel: Light bodied with low to moderate carbonation. 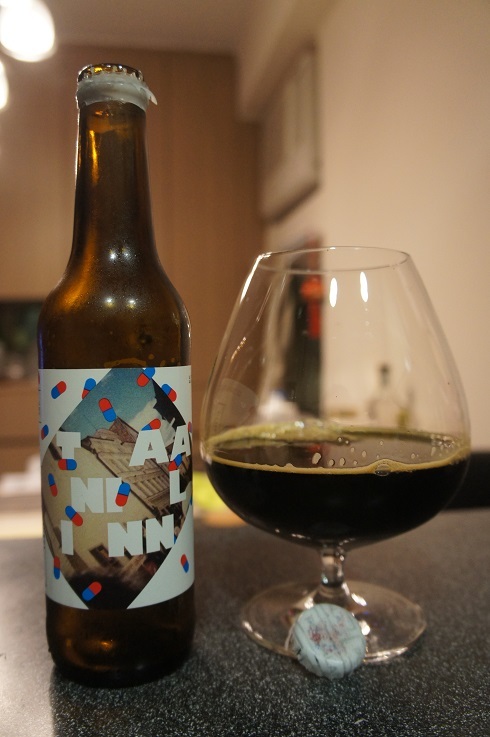 Overall: This was a bit disappointing considering the last Põhjala x To Øl collaboration I tried (Taanilinn Cognac BA) was a stunner. Perhaps it was the high hopes… The fruitiness was nice but carbonation was too low for a Gose. Other Notes: Cognac barrel aged spiced Imperial Stout. 70 IBUs. Malts – Pilsner, Oats, Cara 150, Melanoid, Chocolate, Cara Amber, Special B, Chocolate Rye and Demerara Sugar. Hops – Magnum and Goldings. Other – cinnamon, aniseed and orange zest. 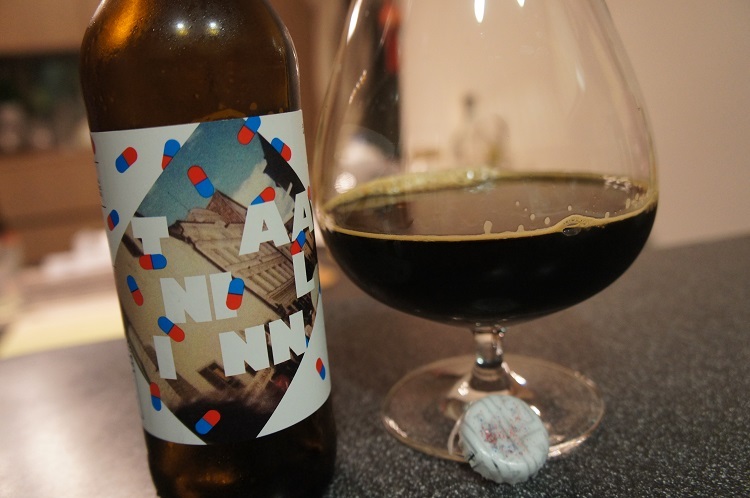 Brewer Description: (from bottle) Põhjala and To Øl created this beer together to honour the old Danish heritage of Tallinn. Deep complex oatmeal stout aged for months on cognac barrels. Spiced with all the best from the liquors of Estonia. Intro: A 330ml waxed bottle with a best before date of 4th November 2018, poured into a snifter glass. Appearance: It poured a pitch black colour with a thin beige head that dissipated quickly but left nice spotty lacing. Aroma: Caramel, toffee, chocolate, vanilla, cognac, wood with a hint of dark fruit, plum and cherries. Taste: Sweet. Its so sweet, but so good. Brown sugar, cherry, vanilla, oak and cognac with hints of bittersweet chocolate and espresso coffee. Mouthfeel: Very smooth, mid to full bodied with low carbonation. Overall: I usually do not enjoy sweet beers, but there are a few exceptions and this is definitely one of them. It starts very sweet, but the combination of oakiness and cognac helps to balance out this sweetness and keep it in check. It’s also surprisingly not full bodied. 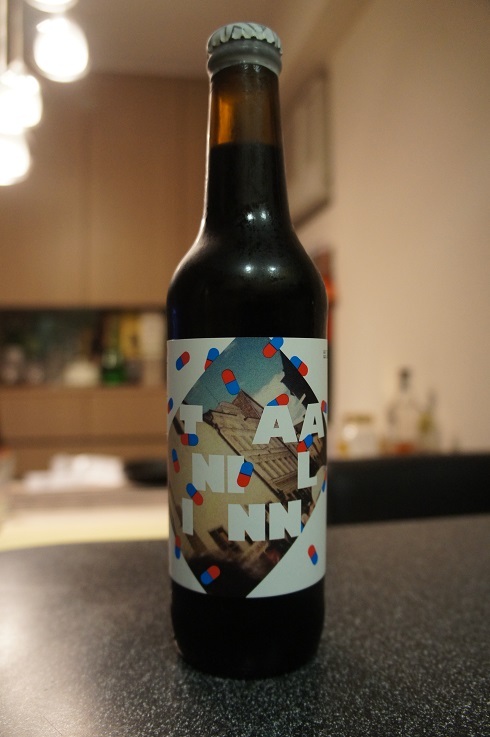 It’s almost there, but lacks just that little bit that you usually expect from a 14% ABV Imperial Stout. But, despite all that, in my opinion, this is right up there with the best Imperial Stouts, and is easily a must buy beer for me.